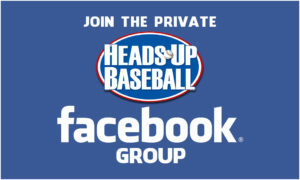 Coaches generally agree that the mental game is at least 50% of success in baseball. 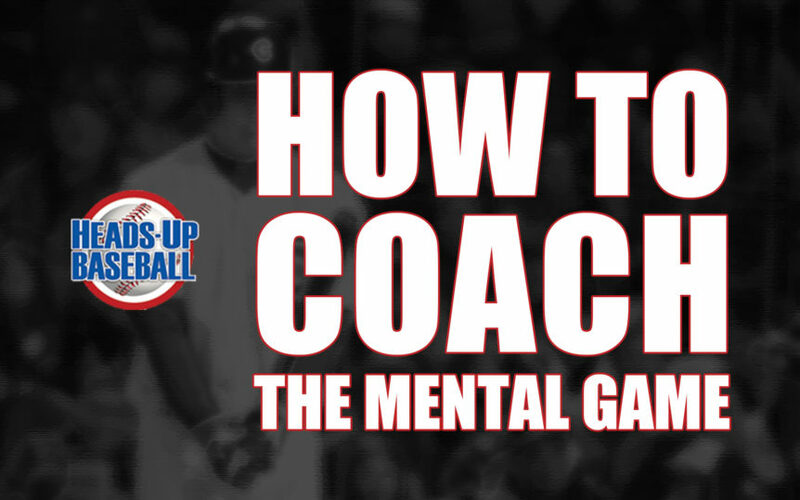 They also generally admit they aren’t as well trained in coaching the mental game as they are in coaching the physical, technical part of the game. A good first step to improving your coaching of the mental game is having a strong vocabulary for it. If you think something is important, have words for it. Robert Kiyosaki, a rich guy who wrote the best seller, “Rich Dad, Poor Dad,” says the #1 most important step to becoming rich is to learn the vocabulary of money. Know what is meant by “asset,” “liability,” “stock,” “yield,” “interest,” “dividend,” and you can navigate in the world of money. You can’t operate effectively in the world of money if you can’t understand conversations about money. The same is true for coaching: You can’t effectively communicate about the mental game unless you have the words to talk about it. 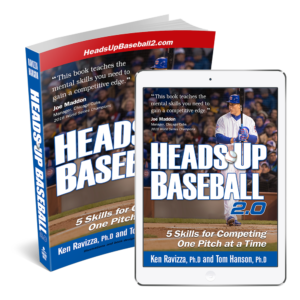 Perhaps the most consistent feedback Ken Ravizza and I have gotten in the past 24 years about our book Heads-Up Baseball is that the book gave them the ability to talk much more powerfully about the mental game because it gave them a vocabulary for it. Coaches tell us that one of the most valuable ideas in Heads-Up Baseball is the “Inner Signal Light.” We say each pitch in a game is like an intersection with a traffic light… but that light is inside each player. When feeling confident and focused and present, a player has a “green light.” When a bit rattled, he has a “yellow light,” and when really losing emotional control he has a “red light.” Just like when you’re driving a car, green means go – proceed to the next pitch. A yellow light means things are headed in the wrong direction and the player must decide if he should proceed to the next pitch, or step back, take some time, and see if he can get back to a green light before the next pitch. This simple metaphor gives coaches and players access to talking about the mental game with greater clarity. It gives coaches a way to be more precise and helpful in their coaching. 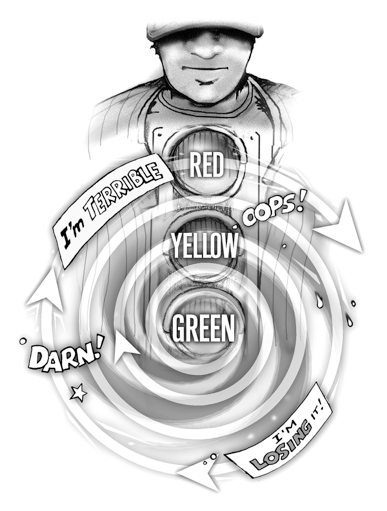 The use of a question and the signal light terminology in the second statement leads the player to examine is own experience. He’ll replay the at-bat in his mind and can use the distinctions “green light” and “yellow light” to both gain awareness of what he experienced at the plate and have a way to communicate that experience. We contend that the possibilities for effective coaching are much greater with the use of the inner signal light terminology than without it. Ken and I are also now using phrases, like “Keep your Controllables Greater than your Uncontrollables,” “Keep your Mission Greater than your Feelings,” and “Keep your Learning Greater than Your Experience” to express key mental game concepts and skills. We’re finding these terms and phrases create much broader and richer territory for productive coaching. So if you want to have more money, learn the language of money. If you want to improve your coaching in the mental game, improve your mental game vocabulary. The more “word power” you have, the more power you’ll have to improve player performance. You don’t have to launch a big “mental game program” with your team to improve their mental skills. Just start introducing words into your coaching vocabulary that have been helpful to thousands of coaches and before long you’ll notice a rise in the level of your coaching conversations – which will likely lead to better and more satisfying performances. 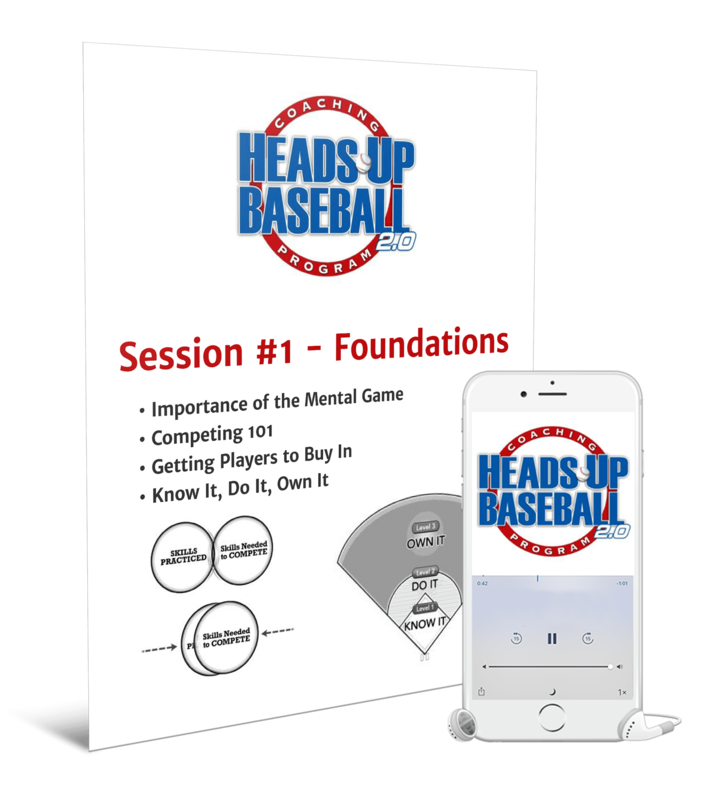 If you think now would be a good time to upgrade your mental game coaching vocabulary, click here to learn more our new Heads-Up Baseball Monthly Coaching Program!